Hong Kong is just a border away and a perfect gateway to Shenzhen attractions. Shenzhen is where it all began for modern China with stunning wonders, yet few people in the west know about it and here's how to get there. The best gateway to Shenzhen attractions is through Hong Kong. You can choose from several borders accessible by Ferries, Buses or Trains. Here's an interactive Shenzhen attractions map. Photos Gallery from Shenzhen, China. Shenzhen, China is now becoming a mirror of Hong Kong in many ways, although it is growing much, much faster and now boasts over 5 million visitors a year. 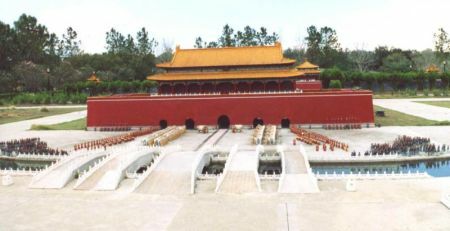 Its man-made attractions are unique and the quality of the architecture reflects the creativity of the Chinese people that will amazed you for sure. Before you go to China, we recommend that you visit the China Travel Golden Route website. You can take advise on how to Travel China with a native Chinese. Learn about Chinese history, culture, artifacts, plan a fascinating itinerary and even pick up a few Mandarin phrases. Consider visiting the Adventure Travel Tales and Tips website for your adventure travel resources. It is full of travelogues and tips about the best destinations around China. With a total area measuring 30 hectares, this is the largest miniature park in the world. 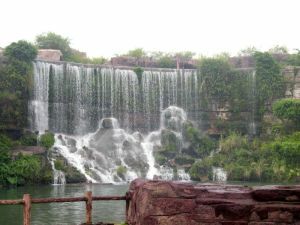 It offers more than 70 famous scenic wonders of China. It reflects all the well-known landmarks (Great Wall of China, Gardens of Suzhou, etc.) as well as China's history, art, ancient architecture, customs, habits of various nationalities and life sized pottery animals and figures. 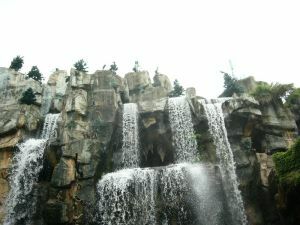 One of newest among the Shenzhen Attractions this most attractive amusement park opened to the public in 1998. It offers a variety of breathtaking rides and is perfect for a fun family day out. It is comprised of a water and land park. 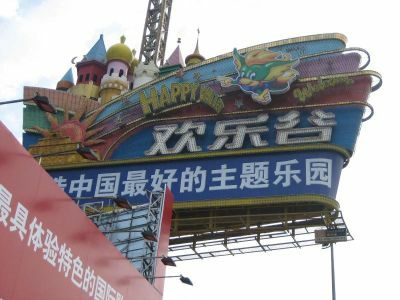 It combines cultural themes with amusement facilities. The Space Shot, River Raft Ride in an Old Gold Mine, and Jump Frog will take your breath away while Banyan Tree Slides, Master Blaster, Wave Pool and Tidal River lead you on a happy adventure into the lost Mayan civilization of America. The park also features a 4-D cinema, the first of its kind in the whole of Asia. 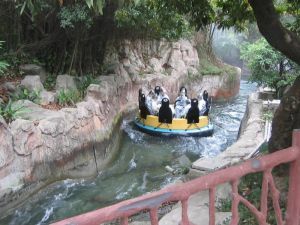 This is very popular among the attractions in Shenzhen. You can tour the whole world in a day and see 118 of the world's greatest attractions set up on different scales across 48 hectares. It offers world wonders, historic sites, scenic spots, natural landscapes, folk dwellings and customs, and world-renowned sculptures and paintings. Main attractions are the 108-meter-high Eiffel Tower in Paris, the Niagara Falls in Ontario Canada, the Taj Mahal in Delhi, the ancient Egyptians Pyramids, the 108 stone pillars and the 1680-square-meter relief walls delineating human evolution. A huge cultural Shenzhen tourist attractions located next to the beautiful Shenzhen Bay where folk art, folk customs and folk dwellings are on display. Occupying an area of 18 hectares, it has 24 life-size ethnic villages representing the 56 nationalities of China. Happy Line. 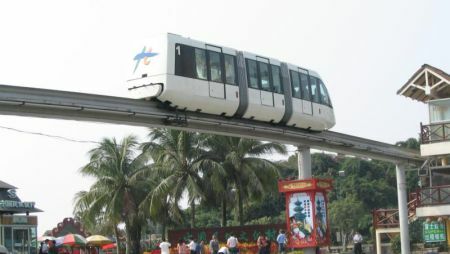 A monorail train ride which will give you a bird's eye view of all four Shenzhen tourist attractions theme-parks mentioned above. Happy Line is a state-of-the-art Swiss-made elevated monorail system which runs in a circular line to all the parks over a distance of 4.38 kilometers. 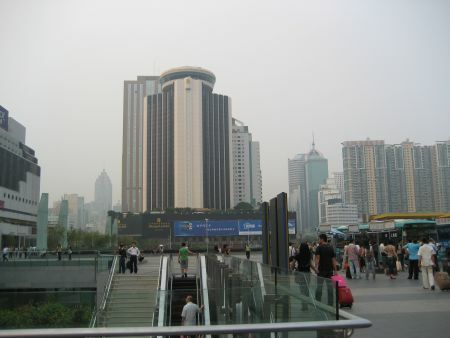 How to get to all the tourist Shenzhen attractions? board one of the MTR East Rail trains that will take you to Lo Wu station at Hong Kong - China border. Please read this China Customs Clearance Practice to give you a pleasant journey. Window of the World, Splendid China and the China Folk Culture Village are all located close to each other. walk thru the Lo Wu Commercial Center and go to the ground Level where you can find a huge Bus Terminal at Shenzhen Railway Station before Shangri-la Hotel. Find and board Bus No.101 or Bus no. 204 for about an hour ride to Window of the World (5 RMB). walk through the Lo Wu Commercial Center and go to the subway where you can find the Shenzhen Metro Train Station. Take the "Luo Bao" Line train from "Luo Hu" station and get off at Window of the World station, about 31 minutes ride @ RMB5. Once you exit from China Immigration, you can find a taxi stand nearby for about 30 minutes ride about 80 RMB. Taxis are metered and charge 12.5 RMB flag fall. 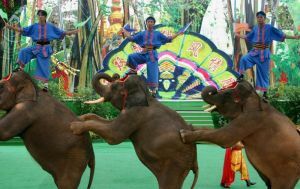 Read more information before exploring all the Shenzhen tourist attractions, China Travel - China's travel portal. Helping you travel through China and discover her scenic beauty. 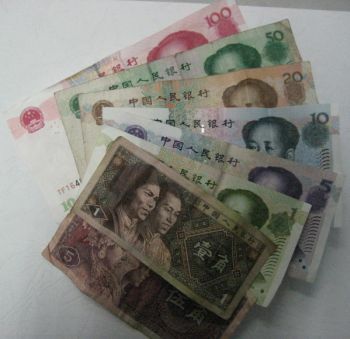 Important: China Currency is China Yuan Renmimbi (RMB). You need to exchanged some of your HK dollar or US dollar right after you exit in China Immigration where you find trusted money exchanger booths. One (1) USD = 7.39804 CNY or one (1) CNY = 0.135171 USD. Exchanging your currency can greatly improve the quality of your Shenzhen attractions, as you do not have to worry about exchange rates. 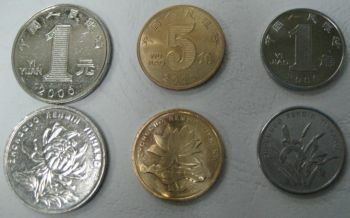 China Currency Notes; 100 CNY, 50 CNY, 20 CNY, 10 CNY, 5 CNY, 2 CNY, 1 CNY, 0.5 CNY and 0.1 CNY. 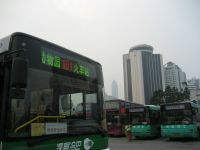 Gateway to Shenzhen tourist attractions upon arrival at Hong Kong International Airport, you can take a Buses or the SkyPier for Ferries that will bring you straight to Shenzhen, China. Choosing Hong Kong as your gateway to Shenzhen tourist attractions is one of the best option and here are some of recommended hotels in Hong Kong. More places of attractions around Guangdong provinces and some useful resource information about Hong Kong and the mainland China. Zhaoqing China - one of the scenic, idyllic city in Guangdong province surrounded by lakes and mountains. Zhongshan, China - discover why it is originally called Xiangshan. Dongguan China - a city with a long history and culture. Its name derives from being east ("Dong") of Guangzhou and being rich in a kind of grass called "Guan" grass. Here are listings of hotel, serviced apartments, apartment-hotels in Shenzhen and in Hong Kong. City Guide and directories, Online Reservation, photos and virtual tours. General Information and Useful links for expatriate family and business travelers.